This year our theme for Hallowe’en was Ghostbusters! The inspiration was my wife’s as she looked at the 1973 VW Type III Squareback that is sitting in our driveway. Her name (the car, not my wife) is Adelaide and I am fixing her up for a friend. She will be for sale in the spring so if you are interested, stay tuned. 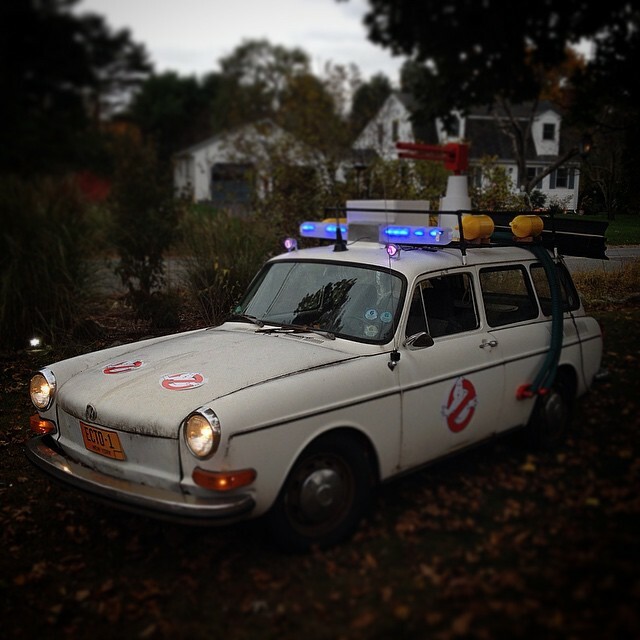 Ecto’s roof rack was made with 1/2″ PVC pipe painted black and taped together with gaffer’s tape. The yellow gas cylinders are bleach bottles, soda bottles and more PVC pipe. The hoses are old pool vacuum hoses and the tower for the red, um, thingy on top is a couple of HDPE paint pails. 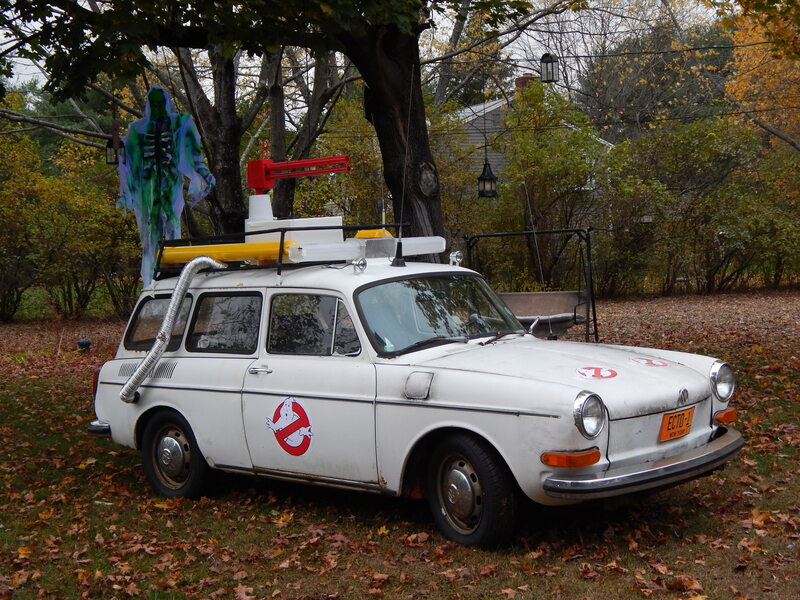 The Ghostbusters emblems and license plate are images ganked from the internet and printed on a large format inkjet printer. The police lights and the LED spots on the front of the roof came from Amazon and the “light bar” was made by gluing four frosted acrylic jewelry display towers together. 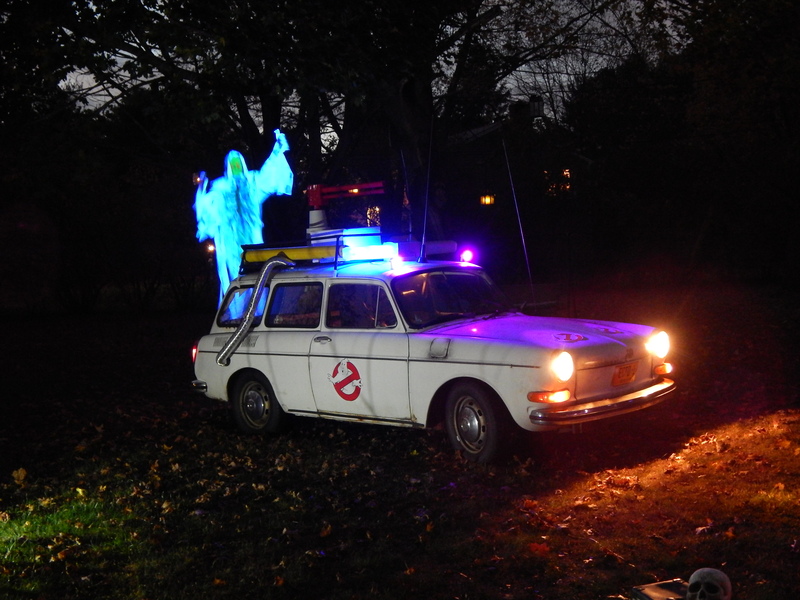 I put a 48″ fluorescent black-light on the back of Ecto to make our Flying Crank Ghost “Geoffrey” glow. Here’s what everything looked like before the sun set. Here’s Geoffrey by himself. 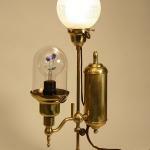 Geoffrey is basically the same as this project but with a larger 5 RPM motor from McMaster Carr. 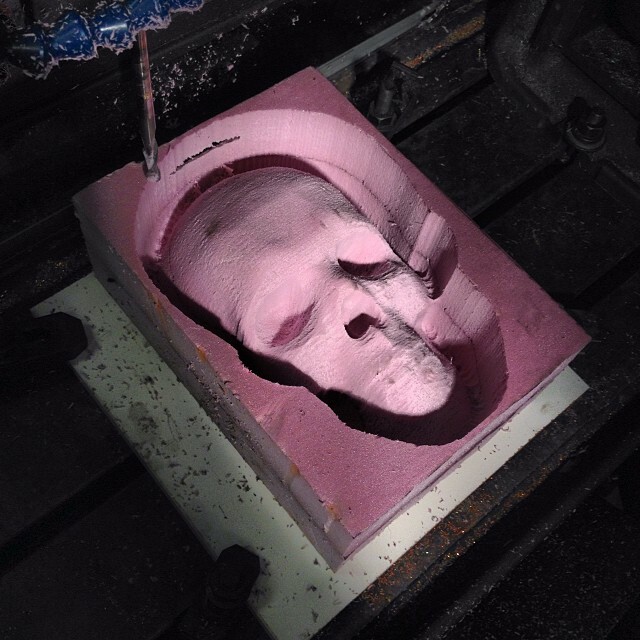 And a skull from Thingiverse I milled on my Bridgeport CNC machine. My wife wrapped my daughter in cellophane and made this spooky bride! 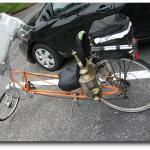 I lit her with a bicycle headlight and a tail-light. The whole scene at night! We also had a Stay-Puff Marshmallow man! A pot of flashing skulls laid by the door. And these eeiry bats were projected on the wall next to Stay-Puff! 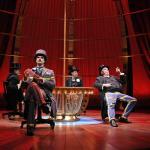 Music is from The Parlour Trick – A Blessed Unrest. This was all a bit last minute but it came out well and we had lots of kids!